Coarsely grind the peas in grinder. 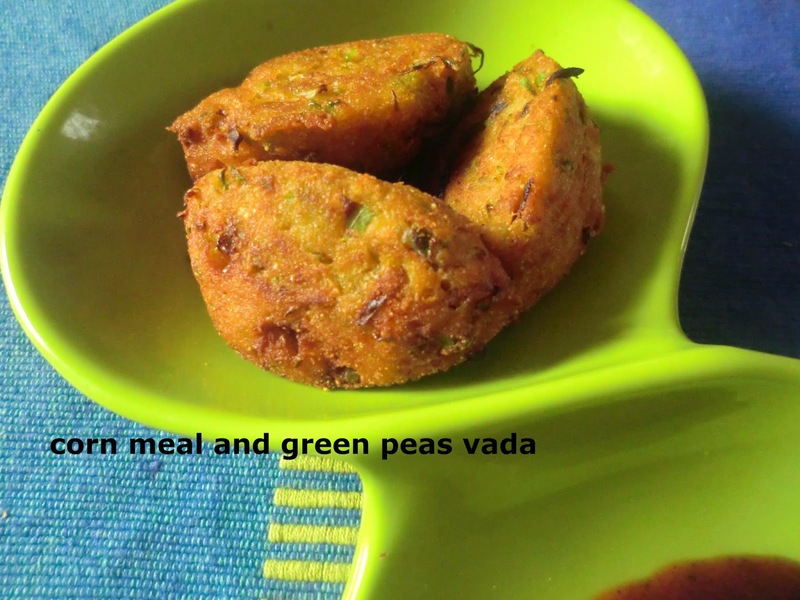 Now sieve the flour and mix peas, salt, red chili, green chili, coriander, cumin powder, chat masala, lemon juice and 1 tsp oil, add sufficient water and make a smooth and thick batter. Heat the oil in wok make the pakoda with the mixture fry till golden and crispy. नोट-----अधिक पतला घोल हो जाने पर पकोड़े फ़ैल कर बिखर जायेंगे .